On Wednesday, June 15th, 2016, the Lab updated their Web Cashier services to TLS 1.2. The change, which has been highlighted through official blog posts (and reported through pages such as this blog) has been implemented as a part of both LL’s on-going compliance work and in response to an ongoing set of regulatory / compliance requirements which are global in scope (as explained by the PCI Security Standards Council). However, there has been a certain amount of confusion over precisely how widespread the impact of the change will be, and what will or will not be affected. To this end, and with the switched flipped, Whirly Fizzle and I have been trying older viewer (e.g. pre 4.7.7 Firestorm releases, the official obsolete platform viewer, Singularity) to find out what is and isn’t affected, and seeking feedback from the Lab. You will be able to add/edit payment info to your account. You will not be able to add/edit payment info to your account. This should – at this point in time – be the extent of the impact (there might be further changes at some point in the future). If you do note any more, please feel free to provide specifics in the comments below. My thanks to Whirly Fizzle for her assistance and support in putting this article together. 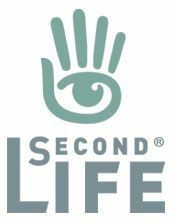 A great article regarding the new TLS 1.2 changes to the SecondLife service.